North Shore eyewear brand Ryders has made significant additions to its line-up for 2017, adding a host of new features and technologies to go along with its popular antiFOG lenses. 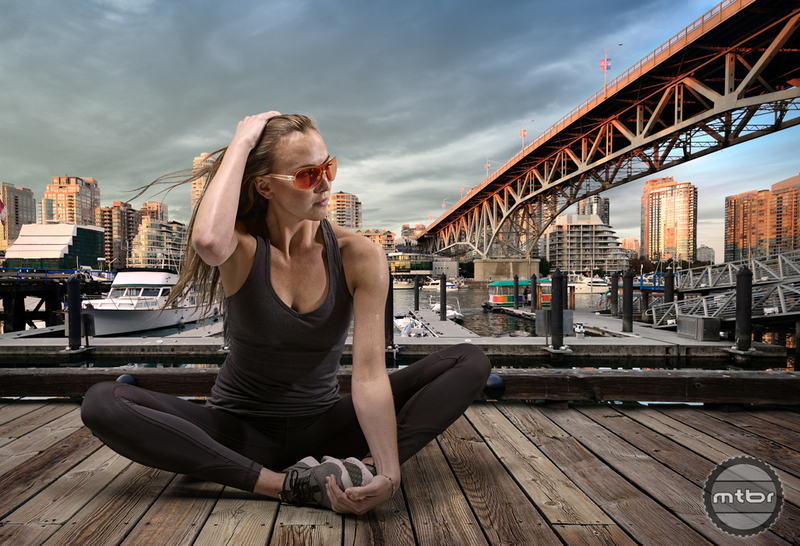 But the British Columbia-based company continues to stay true to its roots, only developing products for biking and adventure sports, while not getting distracted by the larger mass markets that have grabbed the focus of many of the other eyewear makers. 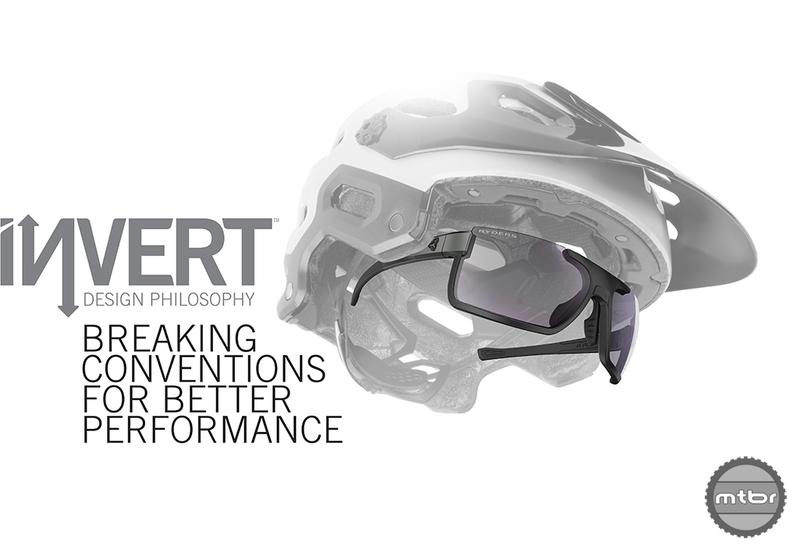 Indeed, mountain biking, road cycling, and mountain sports in general present by the most unique and challenging environments for eyewear. And Ryders designs, tests, and produces products that directly respond to and meet the demands of these hostile environments. Here’s a rundown of what’s new for 2017, starting with the Fyre Collection. The elevator pitch here is that Ryders has taken the five most innovative advancements in sports optics and packed them into one lens. There have been rumblings about this line of products for a few months but there has been little information from the brand until now. To make it happen, Ryders partnered with Essilor — one of the world’s leading lens manufacturers — with the goal of producing the best, most versatile action sports lens possible. They goal was an NXT lens with top quality optics, fast and high-range photochromic, vibrant color boosting, and the same military-grade antiFOG that Ryders is known for. They also added the patented MLV mirror (super high-efficiency so as not to hinder the photochromic performance) to the package. The result is the proprietary Ryders Fyre lens that’s featured in a number of new models. The other big unveil from Ryders for 2017 is what they’re calling their Invert design philosophy, which provides solutions to the challenges of fog resistance, field of vision, and impact protection. Until now, most semi-rim sport glasses have been variations on a standard design — a frame across the top of the lens with the bottom exposed. Ryders has taken this concept and flipped it on its head. The result of their R&D is the patented Invert design that’s been put to use in 21 models, including nine in the Fyre collection. To combat fog, you start with the basic premise that hot air rises. That means warm, humid air from your face needs to be able to escape over the top of your lens if you want to avoid fogging. A frame can block this airflow, often collecting moisture that eventually runs down the back of the lens. By removing the frame from the top of the lens, humidity can rise and escape without interruption. To improve field of vision, Ryders eschewed the traditional idea that users are typically looking down through the bottom of their lenses because so many things happen at our hands or feet (think ball sports). In this case a traditional semi-rim makes sense. But when riding a bike we often look through the upper half of the lens because we’re in a body position that has our heads angled down. Thus removing the top of the frame expands our field of vision in a way that benefits cyclists and people moving fast over terrain where you need to look ahead. All that said, you might ask, why not just remove the frame altogether to produce a conventional rimless shield? The answer is because there’s another hazard associated with moving fast over terrain — crashing. When compared to a frame, the edge of a lens is far more likely to cut your face. By running the frame along the bottom of the lens, protection is increased along with the overall strength of the eyewear. 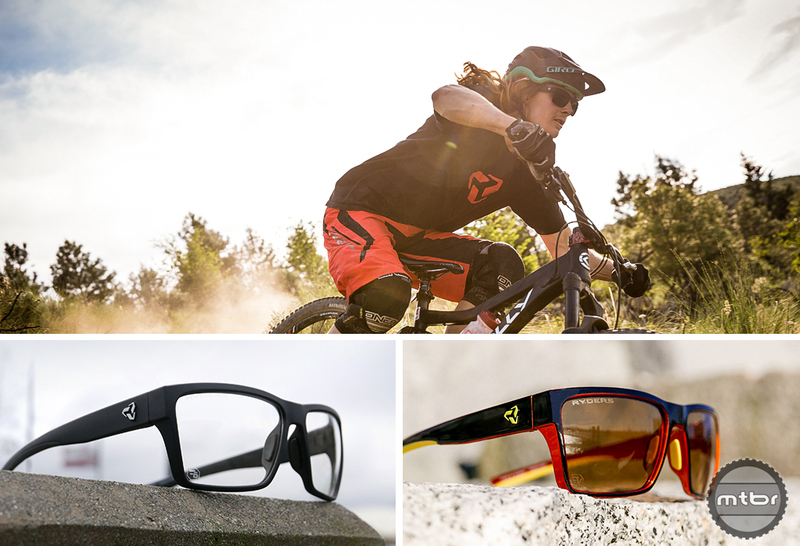 Thanks to its interchangeable Invert frame, the new Roam sunglasses can convert from a rimless road cycling or running shield to a burlier mountain bike semi-rim frame. To make the frame even more versatile, Ryders has given it fully adjustable nose pads and temple tips, ensuring a custom fit on a wide range of faces. Using the patented Invert design, the frame runs along the bottom of the lens instead of over the top. This improves field of vision, combats fogging, and provides protection for your face in the event of a crash. Fully adjustable, hydrophilic nose pads and temple tips provide a custom fit for comfort and stability. Designed for women, the Flyp has shorter temples and more organic styling than most performance eyewear. This frame also runs along the bottom of the lens instead of over the top to improve field of vision, combat fogging, and protect your face in the event of a crash. Its temples are co-injected with hydrophilic material so they cradle your head and stay in place without getting caught in your hair. The front-mounted shield gives the Aero a stylish look. But don’t be fooled, this model isn’t just for strutting around town. From the high-tech Fyre lens to its hydrophilic components, the Aero is designed to go as fast as its name suggests. You’ve likely already heard of Ryders antiFOG lens technology, but for 2017, they have added a host of new lens colors, and incorporated them into a their most popular lifestyle frames. This is welcome news for people seeking fog-free protection without the go-fast look. A common complaint in recent years is that many high-performance glasses make it look like you’re always on a mission for your personal best. With this new antiFOG collection, Ryders has paired walk-around style with go-fast performance. Those of us who have been riding MTB since the early days certainly remember the innovations that pushed our sport to the next level. We’re not talking about eliminating chainrings and widening our bars. We’re talking about products that absolutely changed the way we rode our bikes — ones that reshaped our ideas of what was possible on a bike. Most early suspension forks added a lot of weight with few performance benefits. But there was a time in the 1990’s when suspension forks started to really work, and those of us who were around to experience this dramatic shift will always hold those forks of the past close to our hearts. As a nod to this important progression in our sport’s evolution, the metals of the new Ryders Composite Collection have been anodized to exactly match the stanchion colors of a few unforgettable suspension forks. Using a combination of Grilamid TR90, optical-grade stainless steel and magnesium aluminide, all the stops were pulled out on this collection when it comes to quality. The frames can be tuned to fit your face because of their wire-core components and they all have rim locks for those who want to add prescription lenses. The lenses have all of the characteristics of Ryders standard lenses, including 100% UV400 protection, optically correct optics, hydrophobic coating, scratch-resistant coating, maximum impact protection, plus a premium anti-reflective coating to the back of the lens to boost the optics and increase protection from harmful light should it make its way around the frame and bounce off the back of the lens. Ryders Nelson antiFOG: Available with the antiFOG lenses: Grey, Brown, Clear, veloPOLAR Amber. Ryders Loops antiFOG: Available with the following antiFOG lenses: Grey, Amber, Yellow, veloPOLAR Grey. 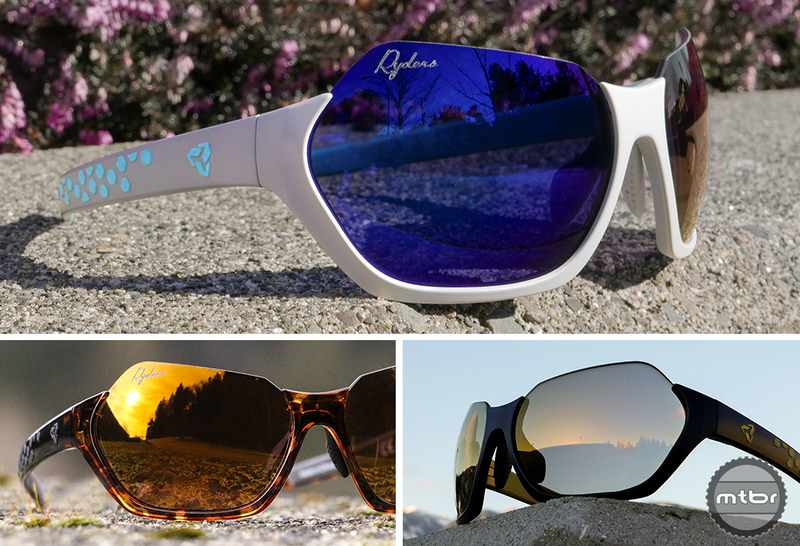 Ryders Pint antiFOG: Available with the following antiFOG lenses: Grey, Rose, veloPOLAR Grey, veloPOLAR Rose. Ryders Trestle antiFOG: Available with the following antiFOG lenses: Grey Gradient, Brown, Rose, veloPOLAR Grey, veloPOLAR Rose. 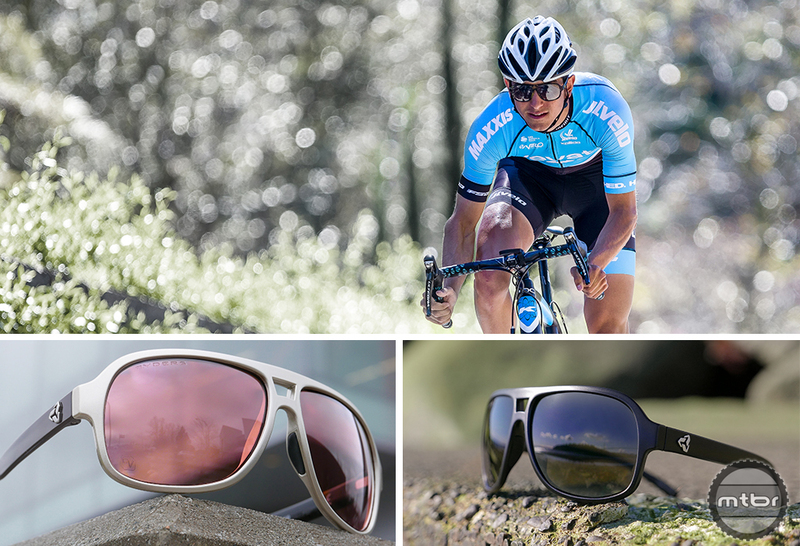 Ryders Catja antiFOG: Available with the following antiFOG lenses: Brown, Grey. The new Pass Sunglasses from Ryders. 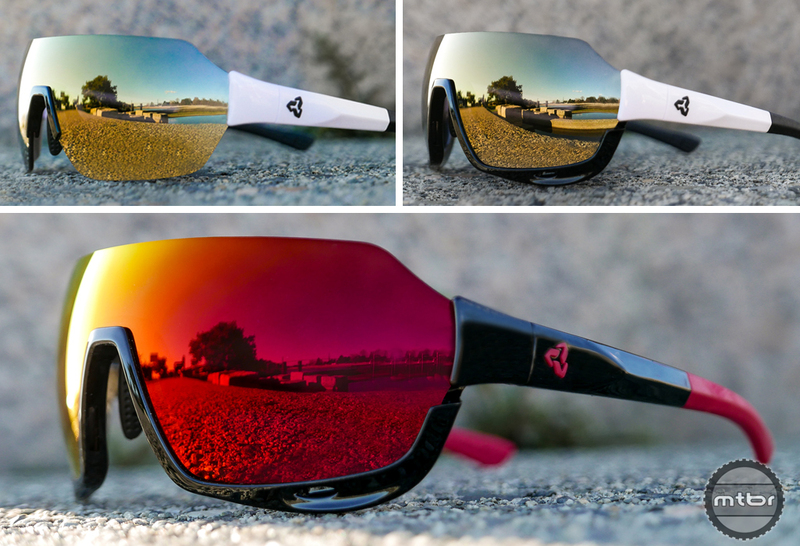 The new Boundary sunglasses from Ryders. 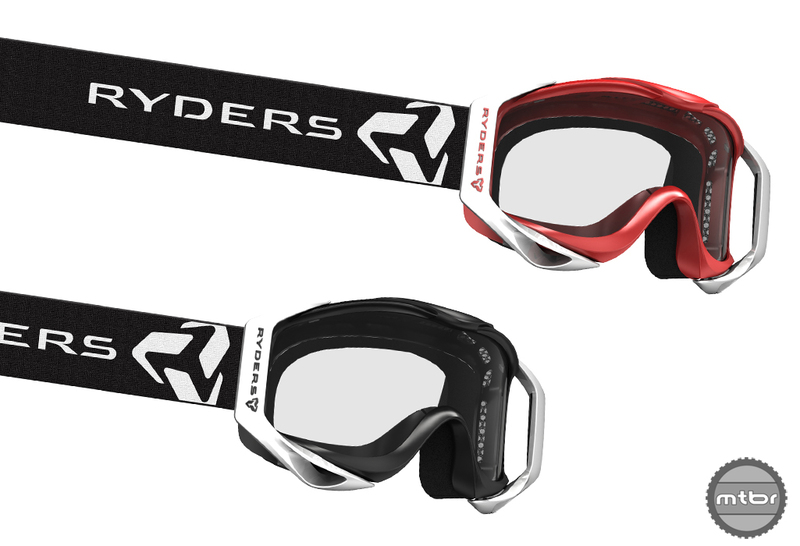 While not new for 2017, these goggles deserve mention because they fit so nicely with the Ryders 2017 antiFOG theme. These eye protectors take a fresh approach to MTB goggles because they’re designed specifically for mountain biking, and are not just re-badged moto or snow goggles. Differences start with the fog-fighting, double layer lens and the venting that blocks vapor from your mouth and nose while channeling fresh air up the back of the lens. For more information on all the new 2017 offerings from Ryders Eyewear visit ryderseyewear.com.